Last night, a group of fabulous fashion savvy ladies and wives of NBA, NFL and MLB players, gathered together to celebrate the holidays in a stylish setting and enjoy the trunk show featuring couture creations of Edward Roth New York and Helen Yarmak, whose penthouse showroom served as the venue for the affair. The 2nd Annual Soiree was also supporting a good cause: “Dress for Success." 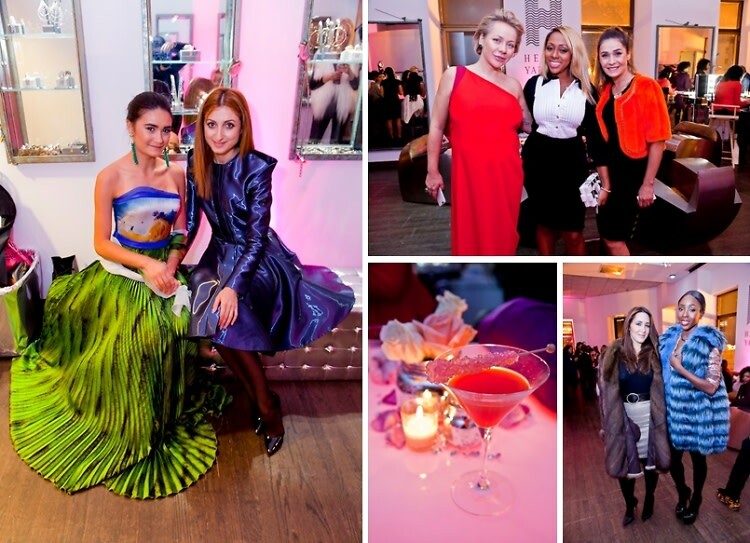 The hosts of the event, Masha Kirilenko, (married to Andrei Kirilenko of the Brooklyn Nets) and owner of Fashion IQ, Jaclyn Rosenberg, CEO of The Rosemark Group, and Keisha Sullivan (wife of NY Giant Jameel Mcclain), partnered with the charity that aids women in the midst of transition. Each of the attendees received an invite encouraging them to bring an item of clothing to the event in order to make a donation. Designer Helen Yarmak and Nairi Barseh, Creative Director of Edward Roth New York, also made contributions by donating their exclusive creations to the charity. “We at Edward Roth New York make it our main goal to empower women by dressing them and this aligns perfectly with the philosophy of “Dress for Success,” said Nairi Barseh. Click HERE for more photos by Natalie Poette.